4 Apr : Amid growing concerns of nuclear weapons falling into the hands of terrorists, PM Manmohan Singh will join leaders of 42 other countries in Washington on 12th April to discuss ways to strengthen the global initiatives to prevent such a scenario. The two-day Nuclear Security Summit, an initiative of US President Barack Obama, will focus on dangers posed by clandestine proliferation and illicit trafficking of nuclear material and the possibility of terrorists acquiring atomic material. At the Summit, Singh is expected to amplify India’s apprehensions about terrorists acquiring weapons of mass destruction. The threat is greater in Pakistan, where nuclear material is believed to be not too safe. Singh is expected to underline the need for greater impetus on securing nuclear material through physical protection and legal mechanisms. 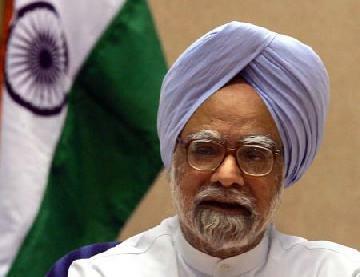 Singh is also likely to propose setting up of an International Nuclear Safety Centre in India. “You are aware of our concerns on terrorism and the possible acquisition of nuclear devices and material by terrorist groups,” Foreign Secretary Nirupama Rao said in New Delhi on Sunday while briefing media on Singh’s visit to the US to attend the Summit. She said India sees the Summit and its associated preparatory process as important elements in strengthening international resolve to cooperate on nuclear security and supporting the expanded use of nuclear energy for peaceful purposes. “This will be to India’s benefit given our concerns on terrorism as well as our interest in the expansion of civil nuclear energy,” Rao said while underlining that nuclear terrorism is a global challenge. She noted that since 2002, India has been piloting a resolution at the UN on preventing terrorists from acquiring weapons of mass destruction. “We are also active in the works of IAEA on setting and enforcing standards on physical protection of nuclear material and facilities as well as on combating illicit trafficking in nuclear material,” Rao said. An outcome document will be issued at the end of the Summit that will outline the national responsibilities of countries to protect their nuclear material and weapons while adhering to international legal instruments and norms. India is a party to key instruments of global architecture of nuclear security such as the Convention on the Physical Protection of Nuclear Material and its 2005 amendment. India also has been participating in the Global Initiative to Combat Nuclear Terrorism of 2006. Templates for the Summit are international conventions which are already in place, the Foreign Secretary said, adding many countries have very strong national programmes as well on nuclear security. “As a result of the summit global initiative to safeguard nuclear security will be substantively strengthened,” Rao said. She said India expects the document to be a substantive one and underlined that all “responsible” countries had the obligation to ensure that nuclear material is safe. Countries like Iran, North Korea, Cuba and Venezuela, have not been invited for the Summit in Washington. Asked whether the fact that Iran has not been invited for the Summit meant that it was not a “responsible” country, the Foreign Secretary replied, “Iran is a responsible country”. She said India regards Iran as a “very important country” with which it has substantive civilisational relations. The document has been negotiated over the past six months by officials from 44 countries and representatives of the European Union and the IAEA. On India’s behalf, Rao led a team of Department of Atomic Energy and MEA officials in discussions on the Summit outcome at meetings in Tokyo and The Hague. The officials will meet again in Washington on the eve of the Summit. The Indo-US reprocessing agreement, on which negotiations were concluded last month, will be signed after the US completes certain internal consultation processes and India is through with some formalities. “The US has to go through some processes of consultations and we have to complete some formalities after which it will be signed,” Foreign Secretary Nirupama Rao told reporters in New Delhi on Sunday when asked about the Agreement on Arrangements and Procedures for Reprocessing. The reprocessing agreement is a key requirement for implementation of the Indo-US civil nuclear deal, which was signed in October 2008. Negotiations for the agreement began in July last year and concluded on 3rd March. Under the agreement, India has to set up two dedicated facilities where the American spent nuclear fuel would be reprocessed under IAEA safeguards and has scope for establishing additional ones. India will have to identify the facilities and notify these to the IAEA for application of safeguards and physical protection of the facility.